monitoring, control and automation for your caravan or motorhome. 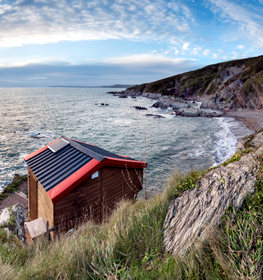 Sabre is a monitoring, control and automation system for your caravan, motorhome, remote dwelling or off-grid house. Turn your lights and heaters on before you get to your van after a day exploring. Check your internal camera to make sure it's safe and secure. Get gas and smoke alarms in the van and on your phone. 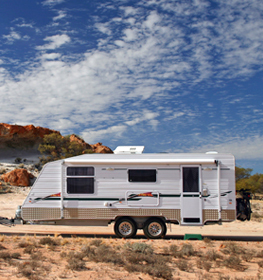 Future-proof your caravans & motor homes with Sabre. The Sabre Mobile and Remote Living System is a combination of new and existing technologies in the area of solar and power battery management, water and fuel-tanks, environmental sensors and alarms, heating and cooling, security access control and lighting. The Sabre Mobile and Remote Living System is a fully integrated system that is installed into your caravan or motorhome at the point of manufacture. It allows you to monitor your living space inside, outside or from afar on your smartphone. It can control your lights, heating, slide-outs and much more. Monitor your water and fuel tanks with on-screen gauges as well as receiving alerts when fresh water tanks are empty, or waste tanks are getting full. View internal and external camera feeds from inside, or via the internet on your smartphone if you just want to check your van is secure. Carbon dioxide, carbon monoxide and smoke detectors will trigger three severity levels of internal alarms and alarms on your smartphone. Check your solar panel's performance with a real-time view of your solar charging levels in Volts and Watts, including a historical report. Monitor your battery output in an easy to see Volt reading. The charge status is also shown. The current load is visible as Amps and Watts. When nearby and inside, use your smartphone to monitor and control via Sabre's own wi-fi network. Or connect via 4G anywhere in the world! Control each one of your lights through the Sabre screen, small screen or smartphone. Set main lights to the home screen for easy access. Set user-configured modes to control lights and heating pre-sets for daytime, night time, bed time or whatever situation you choose. Control your heaters, air conditioners and hot water heaters manually, or use Sabre's thermostat system to control them for you based on your chosen mode. Sabre can be controlled by 7-inch touchscreens, 2.4-inch touchscreens, smartphones and tablets. You can have as many screens as you like. 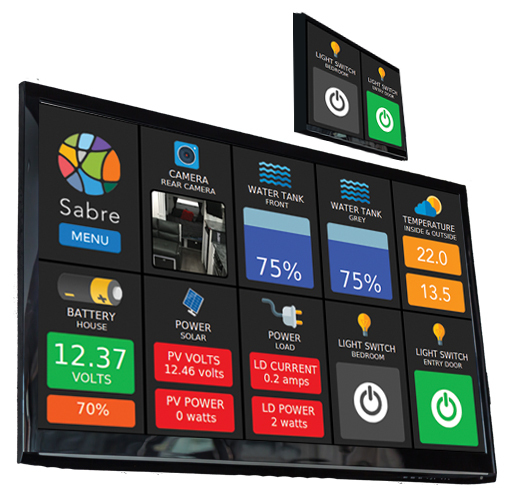 Sabre can learn any of your Infra-Red remote controls in order to control things like your TV and Audio Systems manually or by pre-set modes. Sabre can control any of your 240 volt appliances by using a wi-fi controlled power-point. This gives you complete integration of your applicances. Control your slide-outs, stabiliser legs, TV slide-ups, awnings or anything that is motorised. You can pre-set your modes to control these devices. Through Sabre's GPS location services, it can tell you where you are and what's nearby, including the local news. Sabre can trigger controls such as lights or heat based on your set schedules, or based on thresholds such as temperature or tank levels. 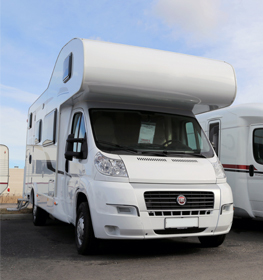 If you are a caravan or motorhome manufacturer, then Sabre is your ticket to future-proofing your products. Sabre hardware will last for many years, and the advanced software is updated via the internet with new features and adjustments. Contact us today to discuss your requirements. Controlling and monitoring through your choice of Sabre Screen is what makes Sabre so easy and smart. The Sabre Screen can come in 7-Inch and 3-Inch Capacitive Touch Screen. These are hi-definition screens with brilliant clarity. Sabre can also be controlled via Apple and Android Smartphone and Tablet Apps available from your favourite app store. You can configure the options you want available on your main dashboard. These can be changed easily and often. Your Sabre Screen software can be improved with regular updates via your 4G internet connection, when in range. Sabre was created by a small Australian firm with a long history of web-based innovation. Sabre's parent company Sympact was behind Australia's first online checking system and Australia's first web-bsed airport flight-board screen. Sabre was created when a need was noticed that the components that make a comfortable, reliable, efficient and safe remote living space needed a central space to live. It isn't good that the control points of today's caravans and motorhomes are a mismatch of switches, LCD screens and other components from yesteryear. Today's savvy caravan and motorhome consumers deserve a modern way of controlling their mobile and remote living space, and Sabre is designed precisely for this purpose. Sabre is built for the management of mobile or remote living spaces. Sabre is the perfect system to bring a refined level of functionality to your caravan. Sabre offers future functionality with Motorhomes by connecting to the vehicle's on-board computer system. 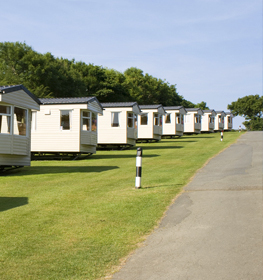 Caravan Parks or privately owned cabins would benefit greatly from the power management and security offered by Sabre. Remote dwellings are open the harsh realities of limited resources. Use Sabre to manage these well. © 2019 Sabre Mobile and Remote Living System.